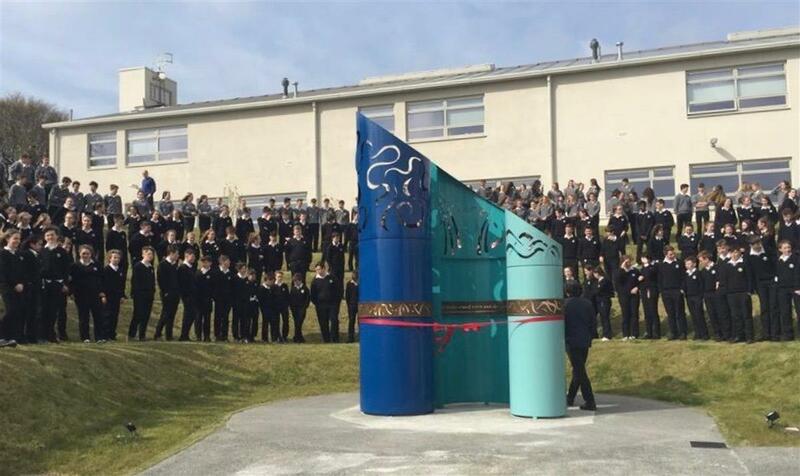 Well done to everyone on the great day we had today with the President of Ireland, Michael D Higgins, who honoured us by unveiling our Sculpture at the front of the school. All students and Staff assembled on the grass terraces to welcome the President. President Higgins was introduced to the Board of Management, the Chairperson of the Parents Association, the artists, and the school's Per Cent for Art organising committee, when he arrived. 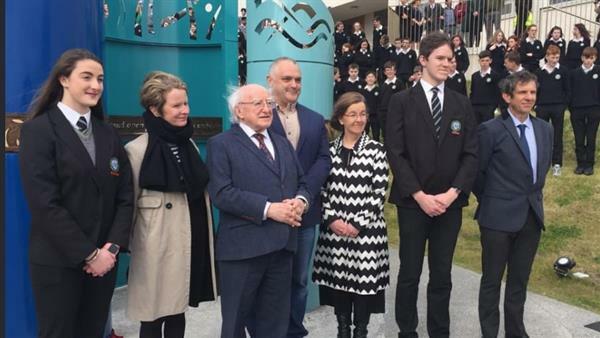 Once the ribbon was cut, President Higgins went into the school to view the work created by the students, during a workshop delivered by artists Maree Hensey and Mark Ryan. 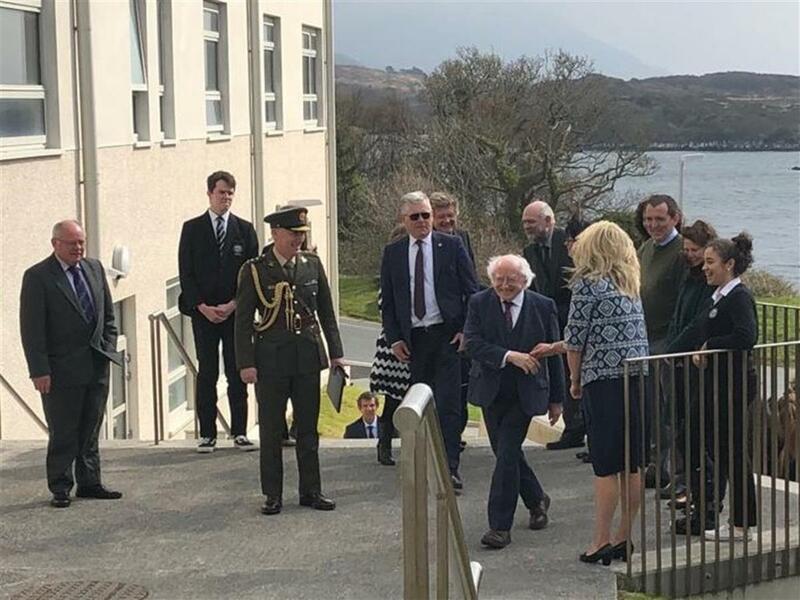 This was followed by a visit to the Construction Studies room, where President Higgins met Mr Molloy and some students with their projects. 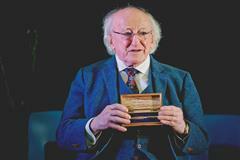 President Higgins was highly impressed by both the student artwork and the woodwork projects. 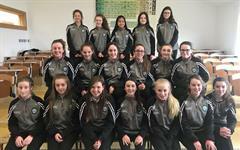 The President addressed a whole school assembly on the Sports Hall, and enjoyed excellent entertainment provided by our students, under the guidance of their teacher, Marie Walsh. All in all.... a great day for all! 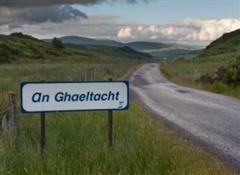 Clifden CS wishes all members of the school community Happy Easter Holidays.